The 2013 Daiheigen Summer Camp in Twin Falls, Idaho was a huge success, thank you for all your support. 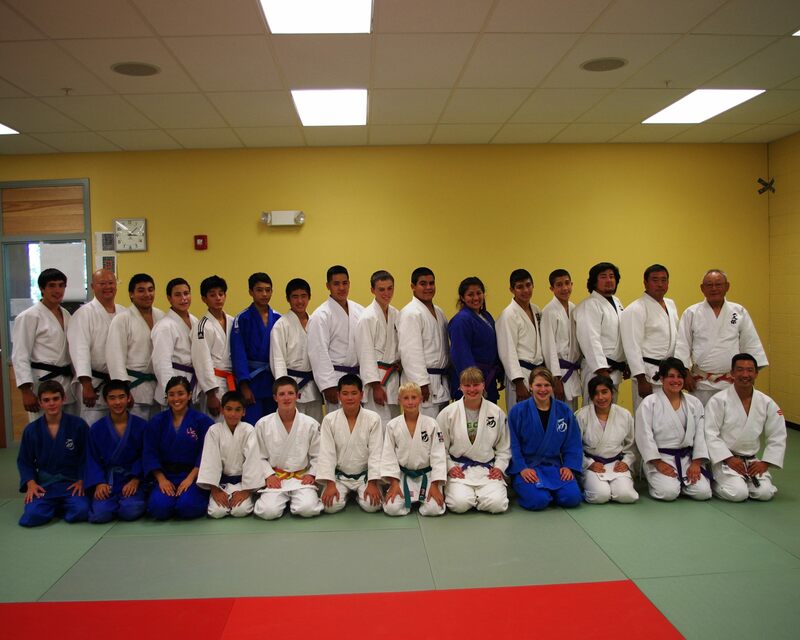 We had over 20 campers in attendance with instructors from various dojos also assisting. Over the course of 4 days, we did 9 judo sessions where we taught our favorite techniques, learned new games and had the opportunity to work out with people from other dojos. In addition, the kids also participated in a challenge course on the CSI campus where they faced their fear of heights by climbing up a 30 foot pole and jumping off. They learned about teamwork and leadership with various other exercises. On the last day of camp, we went on a fantastic 3 hour whitewater rafting tour of the Snake River, complete with a water gun fight and a BBQ at the Hirai Farm. Most of the kids had the opportunity to room with someone from a different dojo they didn’t know. By the end of the camp, our goal of having the kids make new friends and teammates was accomplished. A special thanks goes out to Bryan Matsuoka, Mike Eldred, Ken Kokka, Makimoto Sensei, Mac Burrows, Terry Fukuda, Matsumoto Sensei, Bob Suyehira, Allen Easterling and the other parents, instructors and volunteers who made this event happen. We can’t wait to do it again next year with (hopefully) some new additions to the group! Hi, I have a 5 and 6 yr old and want to enroll them in beginner’s classes. What are your rates and what day is less busy? I’m sure Saturdays are out of the question, since most people would aren’t available during the week. Hi Enid, Our complete class schedule can be found here: http://www.ebji.org/classes/schedule/. Information on rates/fees can be found here: http://www.ebji.org/classes/faq/. Saturdays are the most crowded days with Monday and Wednesday being a little less crowded. You’re more than welcome to come watch or have your kids try a class free of charge. Just bring them at least 15 minutes before the class starts.